The hardest part of any festival is continuing to not only march out strong lineups year after year, but marching out a lineup that the fans feel is the strongest yet. DelFest continues to rise to the challenge, and once again, organizers feel like they are on track to give the fans exactly what they want.The most notable new name on this year’s line up is The String Cheese Incident. Billy Nershi has been at almost every DelFest in one configuration or another, but rumors really started flying after the Del McCoury Band guested with String Cheese on New Year’s. The two bands have shared the bill several times and the mutual respect between the two camps led to this being a natural fit this year. The lineup also includes DelFest favorites Yonder Mountain String Band, Railroad Earth, Bela Fleck and Abigail Washburn, among others, along with everyone’s favorite emcee, Mr. Joe Craven.Here’s a look at this year’s initial lineup (more acts will be announced in the coming months): The Del McCoury BandThe String Cheese Incident (2 Sets)Ricky Skaggs & Bruce Hornsby with Kentucky ThunderYonder Mountain String BandRailroad EarthHot Rize feat. Red Knuckles & the TrailblazersBéla Fleck & Abigail WashburnThe Travelin’ McCourysGreensky BluegrassCarolina Chocolate DropsThe Gibson BrothersTim O’Brien & Darrell ScottSierra HullThe Reverend Peyton’s Big Damn BandKruger BrothersThe DuhksJoe CravenThe Deadly GentlemenSpirit Family ReunionCabinetThe California HoneydropsThe Unseen StrangersDelFest 2014 will once again be held at the beautiful Allegany County Fairgrounds in Cumberland, MD (2.5 hrs from Baltimore and DC). The festival originated from the desire to create a family-friendly music festival celebrating the rich legacy of McCoury music while creating a forum for world-class musical collaborations and to showcase fresh new talent with a down-home feeling. Produced in association with High Sierra Music, the 7th Annual DelFest will again offer a quality festival experience stamped with the unique McCoury touch. Personally chosen by Del, the Allegany County Fairgrounds in Cumberland, MD served as the perfect location for DelFest--nestled along the Potomac River in the scenic Appalachian Mountains, the Fairgrounds are convenient to four major airports and easily reached by rail or road. 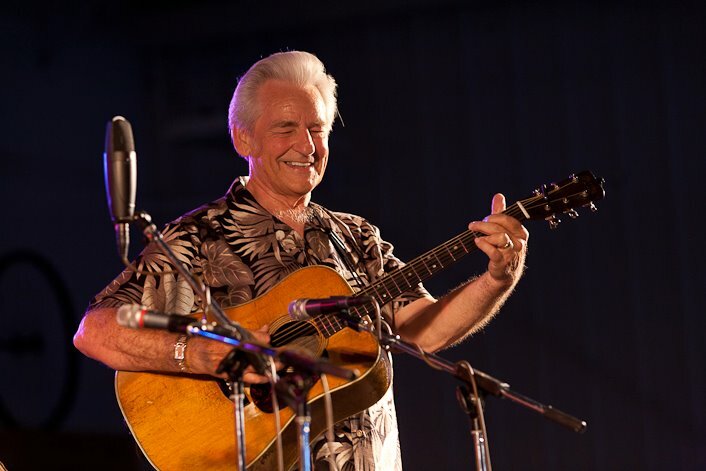 In addition to traditional stage sets by these world-class artists, attendees can again expect to see one-of-a-kind collaborations, special guest sit-ins, various tributes to Del McCoury and his musical legacy, intimate appearances, both at unique “playshops”—informal workshops where the emphasis will be on performance rather than instruction—and in late night indoor performances and picking sessions. Delfest will be immediately preceded by a 3-day Music Academy hosted by The Travelin’ McCourys, where all levels of musicians can learn from some of the best pickers in the world (the Academy will take place May 19, 20, 21).Four day festival tickets are currently on sale at www.delfest.com along with DELuxe tickets. All RV passes with hook ups are sold out, and there are a limited number of “dry” RV passes still available.